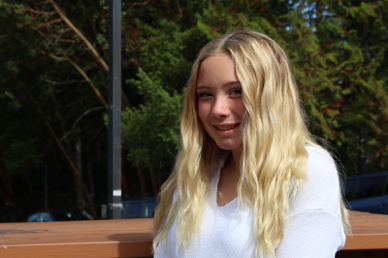 A new writer to Gig Harbor High School newspaper staff, Jocelyn Hughes is a well-committed freshman ready to take a start on the paper. Her favorite subject in school is English because she loves to write about different topics and experience different writing skills. When not in school she plays on the Gig Harbor Tides soccer team and also enjoys getting involved in the Tide spirit. She is very excited to start a new journey into putting all that Tides spirit into the paper and exciting events!